Coastal Architecture Design Build, previously Greenway Design Build, was relocated from Far Hills, NJ when Jim Matarazzo relocated to Brick, NJ. Now situated in its new home at 589 Mantoloking Road, Coastal has rebuilt a dozen "SANDY" damaged homes and constructed 6 new ones. Coastal prides itself in building with honesty and integrity. 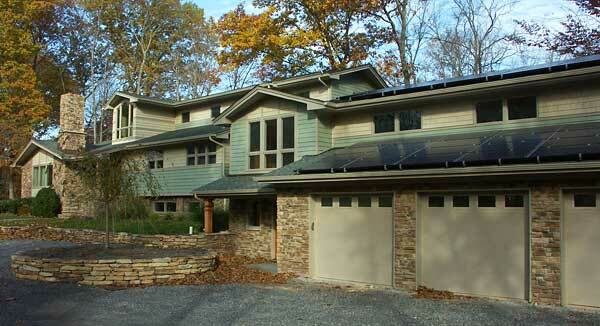 Jim Matarazzo has been building GREEN since 1989 when he built his first passive solar home. Jim has installed three solar electric systems on his own properties over the years and continues to build with new energy-saving products. Coastal Design Build provides the ideal combination of Design and Construction services to make the process of building a new home or remodel a wonderful experience. Our mission is to provide a complete and thorough service to clients looking to enhance their quality of life through modifying or building a home. Coastal Architecture Design Build will price your project from your plans or work directly with an architect of your choice. We recommend VJM Architecture, owned and operated by Vincent (Jim) Matarazzo, Jr., AIA for 27 years. Jim operates VJM Architecture out of the Coastal office in Brick and still has an office in Bedminster, NJ. We are proud to say that COASTAL has added three more awards to the array of Builders Association awards already won by GREENWAY and VJM Architecture. These include the 2016 award for "BEST TOTAL REBUILD", 2016 award for "BEST RESIDENTIAL REMODEL / RENOVATION" and 2016 "BEST CUSTOM HOME $700,000 AND UNDER".